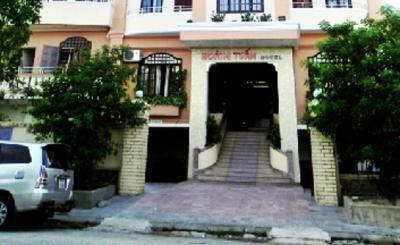 Hoang Tuan Hotel is a short walk from the Perfume River. 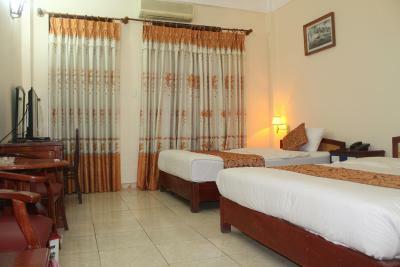 It offers an outdoor pool, a fitness room and restaurant. 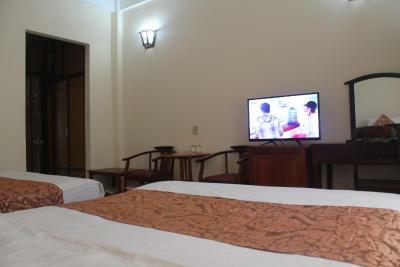 Rooms come with free Wi-Fi and satellite TV. 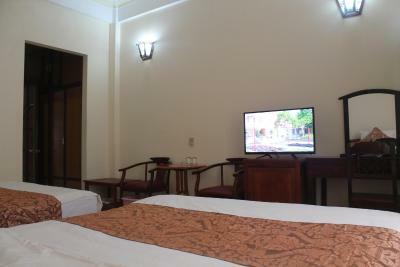 Rooms at Hotel Hoang Tuan come with a tea/coffee maker, minibar and hairdryer. A safe and slippers are provided. 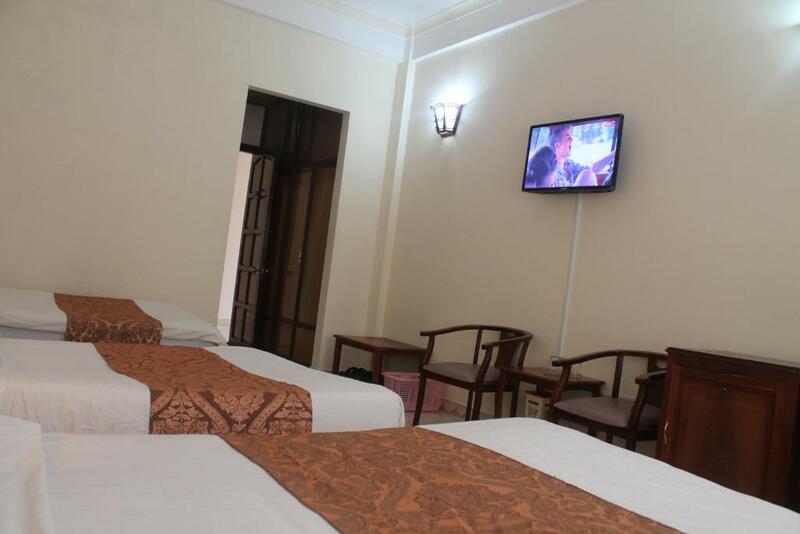 Guests can enjoy Karaoke facilities or relaxing with a massage. 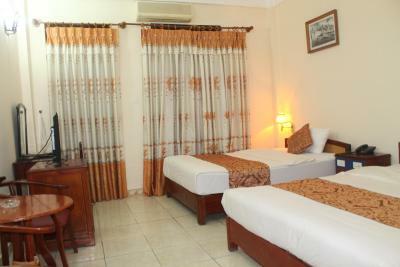 The hotel provides laundry services and free private parking. 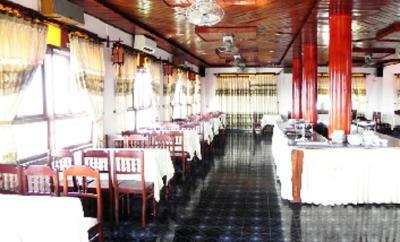 Traditional Vietnamese dishes are served at the Thu Tam Restaurant. Cantonese fare and Dim Sum are offered at Hoang Tuan Restaurant. 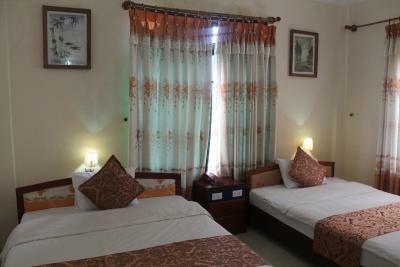 Hoang Tuan Hotel is a 20-minute drive from Phu Bai International Airport. 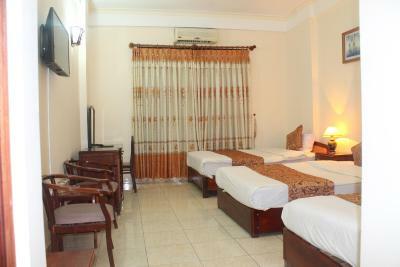 It is within walking distance of Trang Tien Bridge, Dong Ba Market and the Old Citadel. 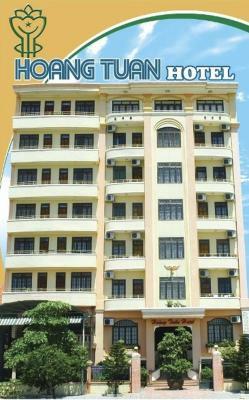 When would you like to stay at Hoang Tuan Hotel? House Rules Hoang Tuan Hotel takes special requests – add in the next step! 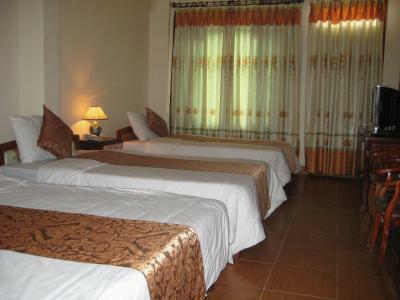 Hoang Tuan Hotel accepts these cards and reserves the right to temporarily hold an amount prior to arrival. We need at least 5 reviews before we can calculate a review score. 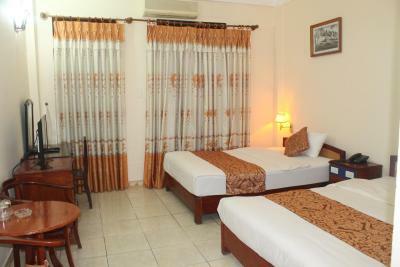 If you book and review your stay, you can help Hoang Tuan Hotel meet this goal.